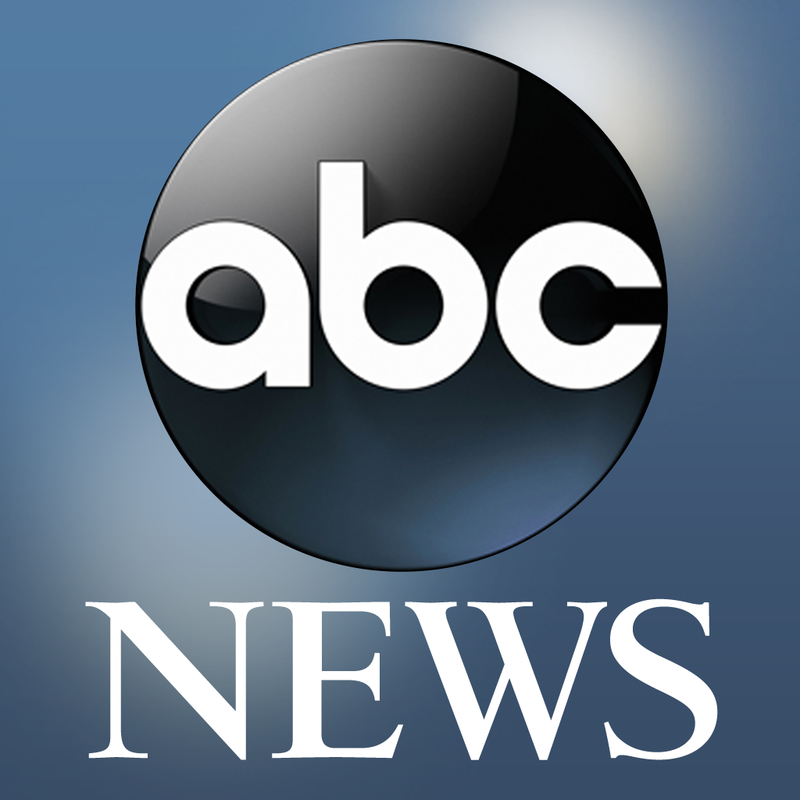 ABC News arrived as a channel on the Apple TV back in June. 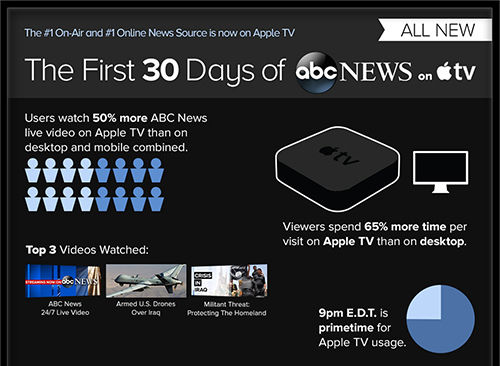 And in a new infographic released today, ABC has detailed information on the channel’s first 30 days. Viewers have seemingly embraced the channel. Here’s the complete infographic. Click it to see a larger image. 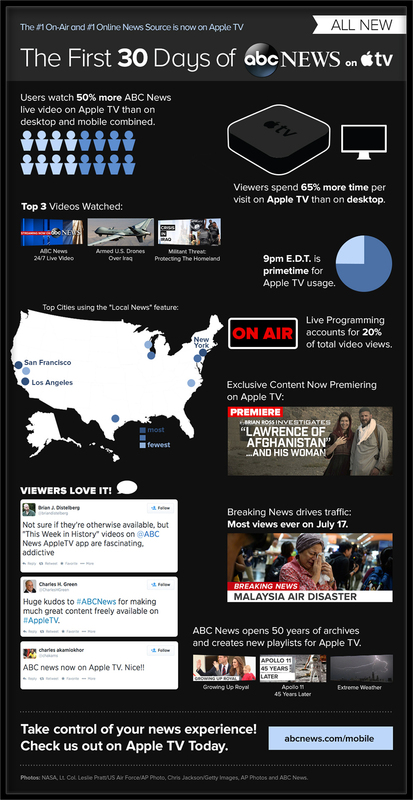 Most interestingly, Apple TV users are watching 50 percent more live video from ABC News than on mobile and the desktop combined. 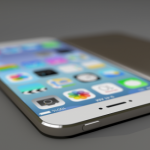 Viewers also spend 65 percent more time per visit on the Apple TV compared to the desktop. The most popular time for users to tune into the channel is 9 p.m. EDT. 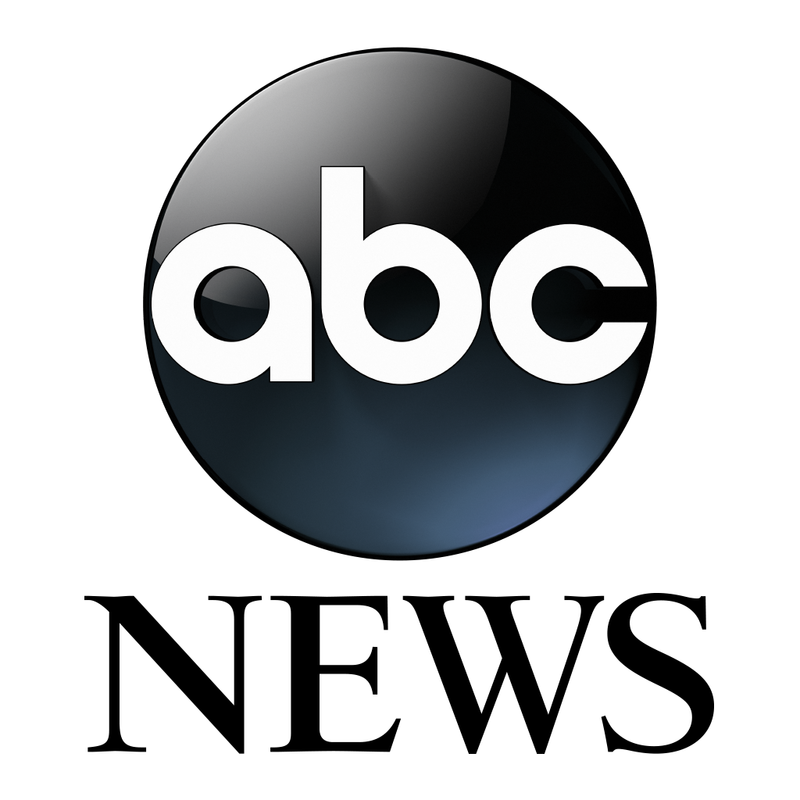 ABC News also announced that it is bringing local content from three new stations to the channel, including KOAT in Albuquerque, WCVB in Boston, and KITV in Honolulu. On launch, viewers could watch content from nine local stations across the U.S. Live programming, at least in the first 30 days, accounted for 20 percent of the total video views. If you're interested, there are also separate ABC News apps for the iPhone/iPod touch and iPad/iPad mini. For other recent Apple TV news, see: The Apple TV UI receives an iOS 7-like revamp in new beta software, NFL Now is coming to Apple TV, and Report: Don’t expect a new Apple TV until 2015.